At last I hear you say? This one has been missing in action for a long time. Like many of us with day jobs Tony was additionally diverted whilst moving cities and pulling his hair out after his hard drive recorder lost the initial transfers. 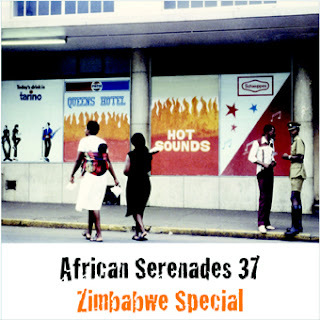 My brief was simple: dive into that treasure trove of African vinyl and deliver a compilation of ZImbabawean tunes that most people haven't heard. So the compilation avoids much of the material already anthologised and focuses on lesser known artists and styles. I hope you enjoy it! I have to second that. A transcendant, shimmering, joyful compilation. Cheers! Thanks matsuli for this compilation of no longer available zim songs. i just have an observation - the very first track - Africa - is a cover version of Ishe komborere Africa and is not by Oliver Mtukudzi. Its gone already! I go away for a week and miss two episodes of this brilliant series. What a pisser!